So I did a body test before I began day two and apparently I have lost 2.2 lbs since yesterday. I did eat a late breakfast, so I had food in me. Surprising for sure. We'll have to see how things go over the next several days. More updates to come. Time to go eat some food. So I just completed my first Wii Workout. I did some aerobic work (hula hoop, light run) to start off and then went to some strength training. That consisted of some leg raises and some push-ups combined with some other movement. Extremely tough. I feel so weak...hahaha. More on this to come. My goal is to lose 2 lbs in a month. For those of you that don't know me, losing weight isn't something I need, but I figure a little more trim would be great. So my birthday is tomorrow, but I already got the gifts. Getting them early is a first for me. Maybe this year will be filled with firsts...hmmm. 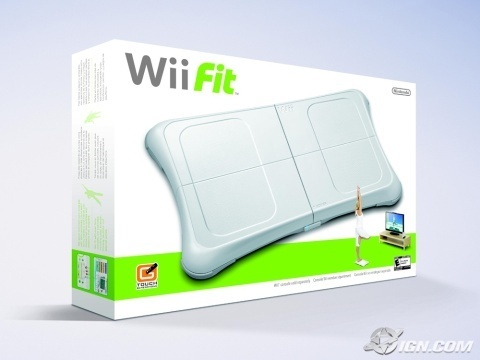 Anyway, it looks like I'm going to be WiiFit. No, not like the english might say. I'm talking Nintendo WiiFit. I was thinking of taking before, during and after pictures and posting them on here, but I didn't want to scare anyone:-) Instead, I'll just keep you all in the loop with how things are going. I have yet to come up with the length of time I'll be keeping track, but you'll find out in another post I'm sure. Anyone wanna join my gym? I have a few spots left. I'm serious. If you wanna join, let me know. I'm currently running a friends and family special of $0 per month. This also includes freshly made juice. Sound too good to be true? Well, I only have 8 spots...so join today!!! !